NASA hopes to send humans to Mars by 2030 on a round-trip mission that could take up to three years—far longer than any human has ever traveled in space. Such long-term spaceflights could adversely affect certain cells in the immune systems of astronauts, according to a new study led by University of Arizona researchers. "What NASA and other space agencies are concerned about is whether or not the immune system is going to be compromised during very prolonged spaceflight missions," said Richard Simpson, senior author and associate professor of nutritional sciences at the UA. "What clinical risks are there to the astronauts during these missions when they're exposed to things like microgravity, radiation and isolation stress? Could it be catastrophic to the level that the astronaut wouldn't be able to complete the mission?" "Cancer is a big risk to astronauts during very prolonged spaceflight missions because of the exposure to radiation," Simpson said. "[NK-cells] are also very important to kill off virally infected cells. When you're in the space station, it's a very sterile environment—you're not likely to pick up the flu or a rhinovirus or some community-type infection—but the infections that are a problem are the viruses that are already in your body. These are mostly viruses that cause things like shingles, mononucleosis or cold sores; they stay in your body for the rest of your life, and they do reactivate when you're stressed." "When we look at the function of the astronaut samples during flight compared to their own samples before they flew, it goes down. When we compare them to controls who stayed on Earth, it still goes down," Simpson said. "I don't think there's any doubt that NK-cell function is decreasing in the spaceflight environment when analyzed in a cell culture system." "The next question would be, how do we mitigate these effects? 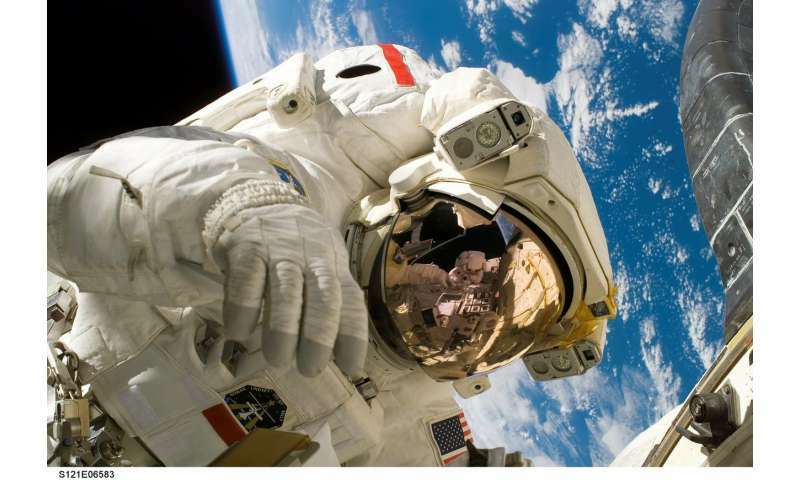 How do we prevent the immune system from declining during space travel?" he said. "In order to do that, you have to first figure out what's causing the decline: Is it stress? Is it microgravity? Is it radiation? Is it a plethora of things? When we figure that out, we can try to find ways to directly target those factors and mitigate them." Studies have shown that spending extended periods of time away from Earth comes with some health risks, such as muscle and bone loss due to the effects of microgravity. But scientists didn't know whether the unique conditions encountered by astronauts had an impact on the immune system until now. The paper, Spaceflight inhibits NK-cell function, was published in the Journal of Applied Physiology.